Talk all you want about Mano Mano here. 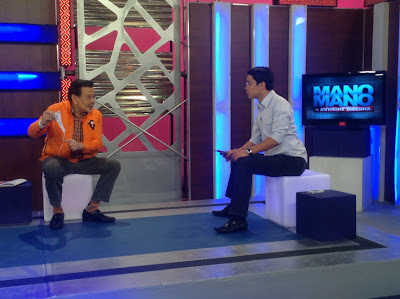 Former president Joseph Estrada joins Anthony Taberna this week and takes on the hot seat in “Mano Mano ni Anthony Taberna” on Studio 23. Erap, who faces Manila Mayor Alfredo Lim in next year’s elections, faces tough questions regarding his decision to run against his former best friend as well as the much-publicized spat between his sons JV and Jinggoy. He also shares his thoughts on being branded by the public as “lapitin ng chicks.” Find out Erap’s exclusive revelations in “Mano Mano ni Anthony Taberna” this Sunday (Dec 2), 8:30 PM on Studio 23 with replays every Monday at 7 AM.